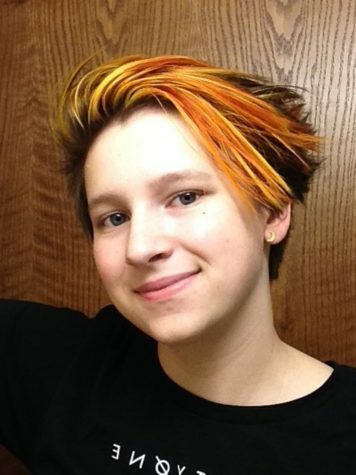 Hi, I’m Emily Esser, and no, my hair is not on fire. My aunt does it, please put the extinguisher away now. This is my second year in Breezes, last year I was a staff writer for Commentary and an artist for the paper. This year, I’m a copy editor and a junior on the side. I’m excited about this year’s paper too, it’s going to be a blast! (Anyone who says otherwise is lying or doesn’t know about the donuts). When I’m not being breezy (ha, ha) I’ve got my earbuds in and am either reading, writing, drawing, learning about the final frontier, and all the while silently correcting your grammar.